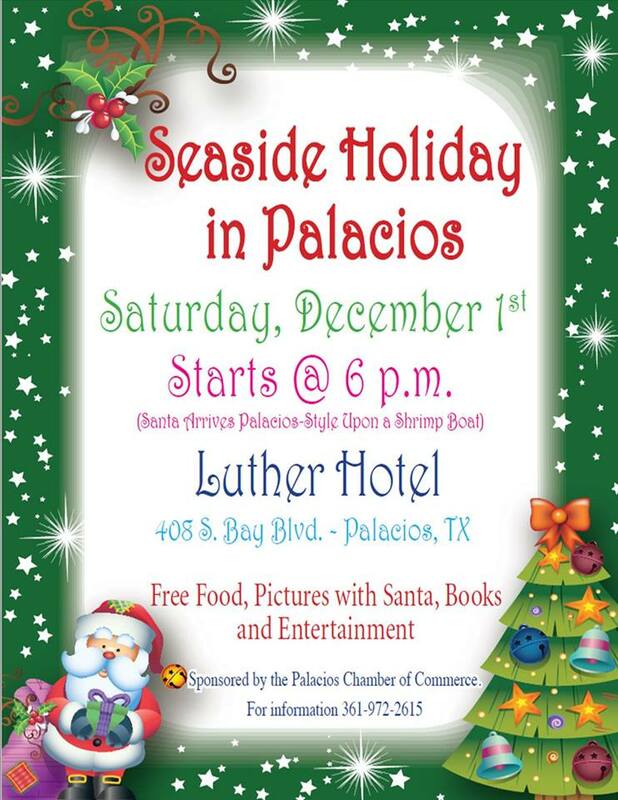 Palacios Chamber of Commerce would like to invite you to our Seaside Holiday in Palacios! Event will be Saturday, December 1st, 6 p.m. at The Luther Hotel. Santa arrives Palacios style, upon a shrimp boat! Free food, pictures with Santa, books and entertainment!